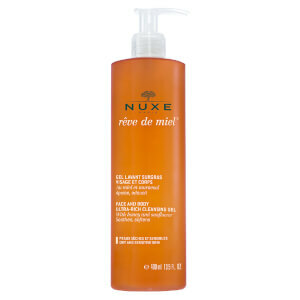 This NUXE Reve De Miel Ultra Comfortable Face Cream wraps Dry and Sensitive Skin in a blanket of beneficial comfort. A combination of wild fruit oils, including bilberry and cranberry, sunflower and mango butter works to enrich the skin’s natural lipids. 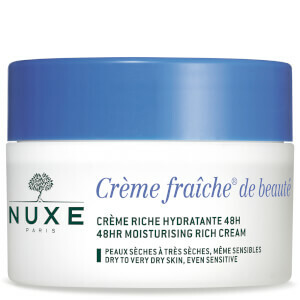 NUXE Reve De Miel Ultra Comfortable Face Cream for Dry and Sensitive Skin is formulated with okoumé resin and anasensyl, recognised for their soothing properties, and fir honey to repair the skin’s micro-profile. 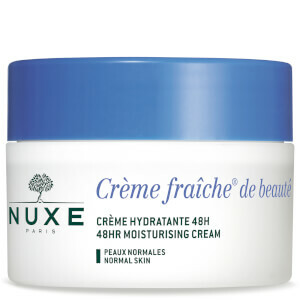 Dry, sensitive skin is intensely nourished and regains lasting comfort whilst feelings of irritation and tightness are relieved and the look of redness and roughness is diminished.Use on dry skin all year round and on normal skin in extreme weather conditions. Apply in the morning and/or evening on a perfectly cleansed face and neck. Aqua/water, Glycerin, Glycol Palmitate, Cera Alba/beeswax, Cocos Nucifera (coconut) Oil, Macadamia Ternifolia Seed Oil, Oryza Sativa (rice) Bran Oil, Coco-caprylate/caprate, Butylene Glycol, Butyrospermum Parkii (shea Butter) Extract, Helianthus Annuus (sunflower) Seed Oil Unsaponifiables, Hydroxystearic/linolenic/oleic Polyglycerides, Cetearyl Alcohol, Behenyl Alcohol, Arachidyl Alcohol, Dimethicone, Coco-glucoside, Mel/honey, Parfum/fragrance, Tocopherol, Argania Spinosa Kernel Oil, Capryloyl Glycine, Safflower Oil/palm Oil Aminopropanediol Esters, Tocopheryl Acetate, Arachidyl Glucoside, Hydroxyethyl Acrylate/sodium Acryloyldimethyl Taurate Copolymer, Sodium Ydroxide, Citric Acid, Ethylhexylglycerin, Dimethicone Crosspolymer, Hordeum Ulgare Cera/spent Grainwax, Carbomer, Dehydroacetic Acid, Etrasodiumglutamate Diacetate, Glycine Soja (soybean) Oil, 10-ydroxydecanoic Acid, Sebacic Acid, 1,10-decanediol, Polysorbate 60, Orbitan Isostearate, Solanumlycopersicum(tomato) Fruit/leaf/stem Extract, Beta-carotene, Daucus Carota Sativa (carrot) Root Extract, Caprylic/capric Triglyceride, Glyceryl Distearate, Polysorbate 80, Inalool, Limonene, Benzyl Salicylate, Citronellol, Farnesol, Coumarin, Citral [n2003/c].